It inspired me to make my own little altar every year for the people I am missing in my life. I put pictures of them on my altar and little nicknacks that remind me of their special personalities. Like a stuffed whale that my mother bought when we went whale watching, a CD with songs by my nephew, a pair of old glasses that belonged to my grandfather, stones, shells and glass beads that remind me of special times together. There are always flowers and candles. I will create my altar on Halloween and leave it up for a few days. I find that cleaning the altar afterwards is as important as setting it up. I take special care to put all the little pieces back in their usual place. They help us heal and stay in the present moment. 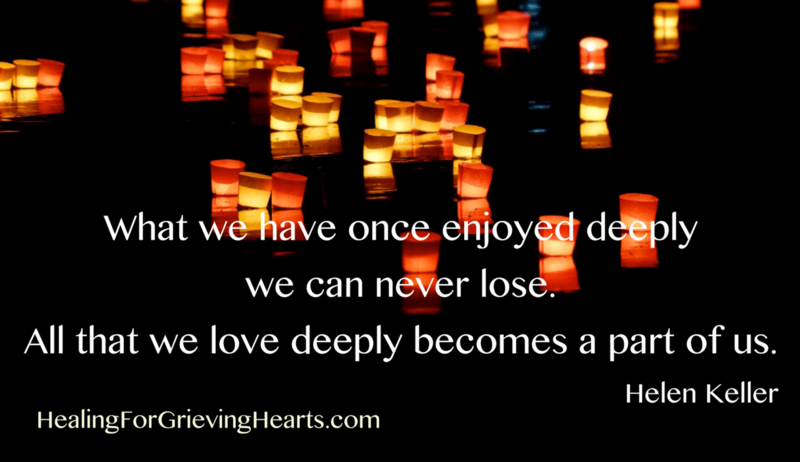 They give our feelings a voice and by creating it we give our soul permission to deeply connect with what we have lost. If you liked this piece and want others to find it please click on the green heart. Thank you!